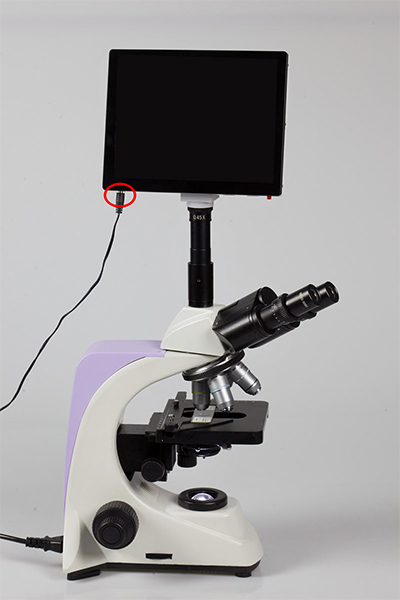 LB-356 Digital Zoom Stereo Microscope with 5MP HD Touch Screen Digital Camera offer sharp 3 D images with very competitive price. Optional eyepieces, auxiliary objectives, light source, stands and other accessories can fulfill different requirements. Labomed Inc. is certified by ISO 9001, CE Conformity and is FDA Licensed. Well-coated optical components, providing sharp and high contrast image and ensure large depth of field. 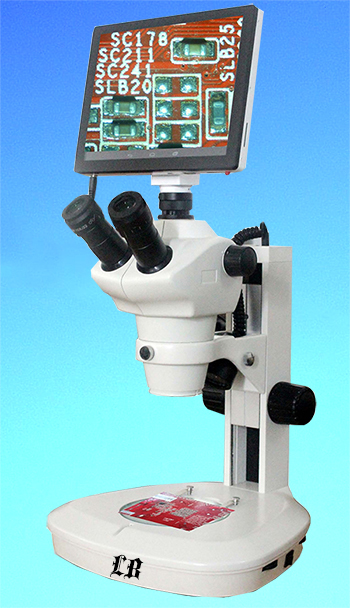 High quality optical system with zoom magnification 8×-50×, zoom ratio 1:6.3. Various eyepieces, objectives and other accessories can meet different requirements. LB-356 Digital Zoom Stereo Microscope with 5MP HD Touch Screen Digital Camera is of great value in a variety of applications such as circuit board repair, circuit board inspection, surface mount technology work, electronics inspection, coin collecting, gemology and gemstone setting, engraving, repair and inspection of small parts. 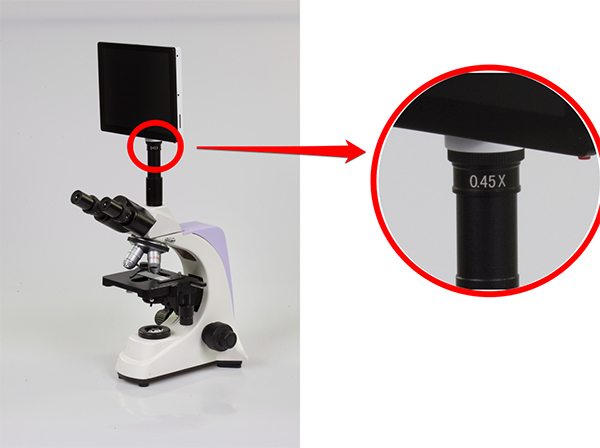 The 5MP HD Digital Camera with Touch Screen is a brand new high performance and highly cost-effective, super reliable 9.7 inches smart digital microscope tablet camera! Built-in the professional software, including multi-functional measurement software and particle analysis software, the operation is very simple and efficient. Online upgrade is allowable, not proficient in computer you can independently accomplish all of the software upgrade! Flexible configuration and wide application range, it is easily to achieve to all your desire of exploration and discovery mystery of the microscopic kingdom. Complete Application Functions, Not Only Camera, Also Tablet PC! 9.7inch 1024 × 768 IPS Color LCD touchscreen, can be operated by USB keyboard and mouse. Build-in Android 4.2 operating system, RK3066 dual-core 1.5GHz CPU. Support external SD memory card. 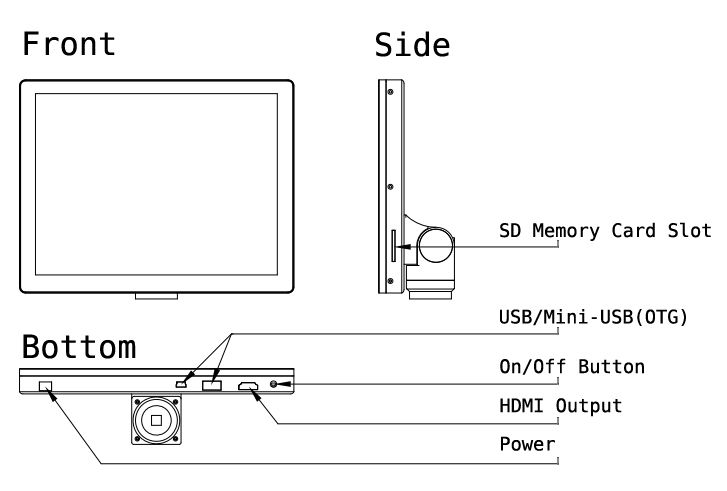 Multiple interfaces, USB, SD Memory Card, HDMI Output can connect with monitor or projector screen. 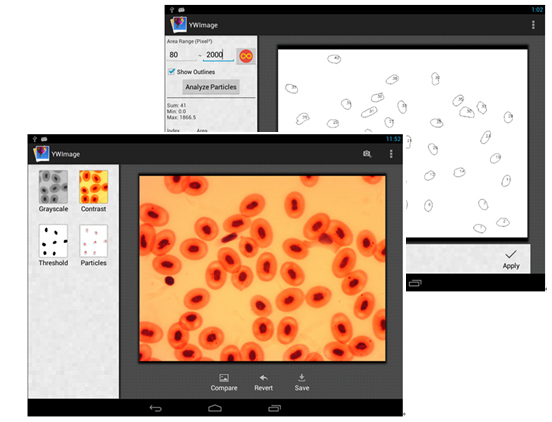 Build-in microscopy software for capture images, record videos and make measurement. Measure data can be export to Excel file. 0.5× Nose Piece with Φ23mm, Φ30mm and Φ30.5mm Adapter Rings for Different Diameter Eyepiece Holders. Equipped with international standard C-type interface, it can be conveniently thread on both C-mount coupler and eyepiece adapter. It is compatible with the monocular, binocular, trinocular and any kind of microscopes, such as stereo, video, dissecting microscope or telescopes. Remove the dust cover and lens protection film , then connect the C-Mount coupler to the device. Optional Plug Types: USA/ EU/UK and Japan. Connect one end of DC adapter cable to the power port at the bottom of the device, and the adapter to 100-240V AC power outlet. 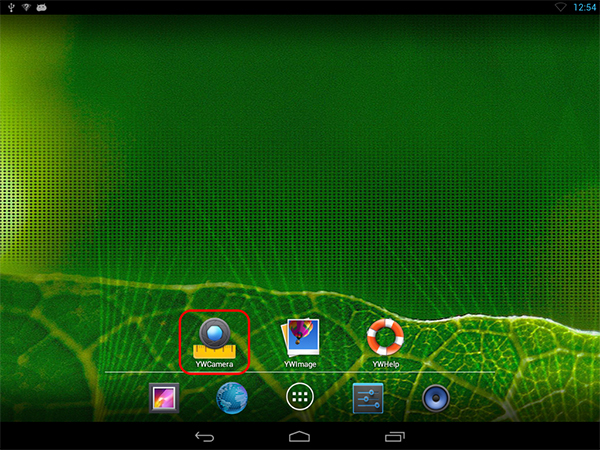 After the device is turn on, touch the “YWCamera” Icon to open the camera application. Preview Image – show live video of the camera. Tool Panel – Control panels, capture, adjust parameter, measurement, etc. Thumbnail Panel – Show captured images and videos, touch it to browse the files. System Tool – Switch Camera, full screen, configure. 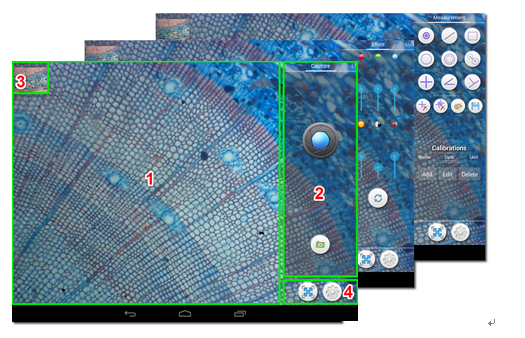 Touch the “YWImage” icon to open the particle analysis application.